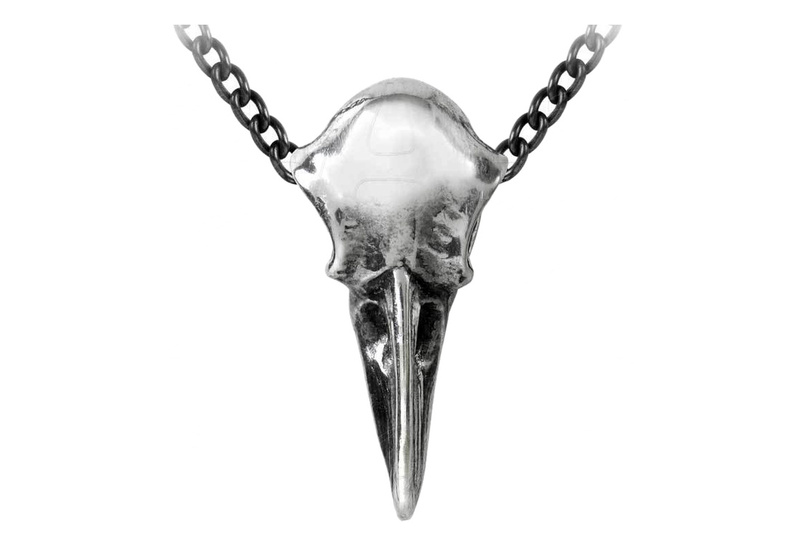 A suspended raven skull pendant hanging from a 21 inch chain, passing through the skull's eyes, is Odin's messengers and capable of foretelling death. 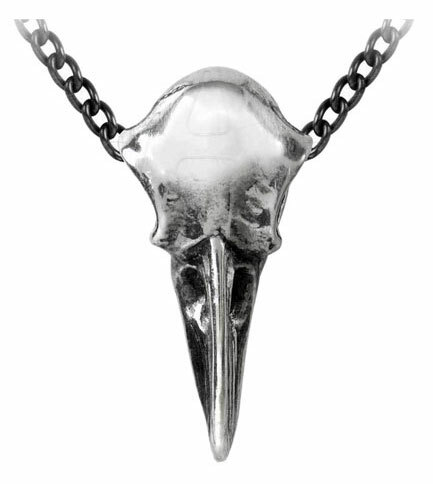 Made of fine polished English pewter with black trace chain. Measures approximately 0.6 inches wide, 1.1 inches high and 0.5 inches deep. Designed by Gothic Alchemy.